NKANA coach Zeddy Saileti says Walter Bwalya’s absence would not affect his plans as his side takes on Nchanga Rangers in a MTN-FAZ Super League Week Two fixture which seems both teams desperate for a win. Today’s match at Nchanga Stadium in Chingola sees two teams open the second week of the fixtures eager to bounce back from their opening day disappointing results and put their season on track. 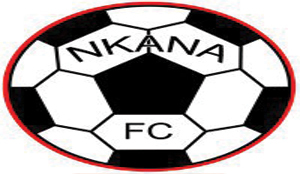 Nkana was held to a 1-1 draw at home by Nakambala Leopards while Rangers suffered one of the heaviest defeats of the opening day when Napsa Stars run away with a 3-0 win at Edwin Imboela Stadium. The Kitwe side was dealt a big blow in the build up to the game as last year’s league top scorer Walter got suspended for three games by the FAZ disciplinary committee for his unsportsmanlike conduct during the Charity Shield final defeat against Zesco United. But Saileti said Walter’s absence would not affect the team as there were a lot of players at Nkana. He said it was up to the other strikers to rise up to the occasion in the absence of Walter and deliver for the club. “For a team like Nkana, drawing at home feels like a loss. So we have prepared well and the players know they are supposed to do. But you should remember that there are no easy games these days so we can’t underrate Nchanga,” Saileti said. Rangers coach Bruce Mwape knows a second defeat in as many games will put pressure on his team despite it being early in the season. Mwape lost some key players during the transfer window and he will have to do with a new look team though it will not be easy against a Nkana side that is also desperate for maximum points. The suspension of Walter will come as a blessing in disguise for Rangers though the defence of Jimmy Makena, Gift Sikaonga, Benson Nzuma and Isacc Shamujopa will have to be at their best to thwart the threat posed by Nkana strikers Ronald Kampamba and Bornwell Mwape who may replace the striker. Nkana will rely on the reliable hands of Kelvin Malunga in goal, who got a confidence boost with his first national team call up, and Rangers strikers Terry Mwanshi and Martin Njobvu will need to be at their best to get the much needed goals. The midfield battle will see Nkana’s Jacob Ngulube and Simon Bwalya try to get the better of Benson Kolala and Bwalya Kasonde.